The railway came to Sutton in 1862 with a 5-mile-long line from Aston with a terminus at Sutton Coldfield Station. The line was owned by the London and North-Western Railway, and it was always intended to extend the railway to Lichfield where the LNWR already had lines to Walsall, Rugby and Stafford. This extension was planned to follow a route to the west of Anchorage Road, but by the time the company was ready to build the line, in 1882, this route had become impractical. The Midland Railway had opened the Sutton Park line in 1879, blocking the proposed route and forcing the LNWR to adopt a different course, tunnelling under High Street and crossing beneath the Sutton Park line before turning north. When the LNWR obtained its Act of Parliament for the Lichfield Extension Railway, all the land and property along the route had to be bought. The railway company purchased the High Street properties which stood above the planned tunnel. On the west side of High Street stood the last surviving half-timbered building in the street, a row of cottages. There were originally three cottages, owned in 1721 by Nathaniel Ford, whose nephew was Dr. Johnson; later they belonged the Hacketts of Moor Hall, and in 1824 Sir Charles Adderley of Hams Hall was the owner, by which time the three cottages had become eight tenements. They were demolished to make way for Railway Road, which is directly above the tunnel. On the other side of High Street were two shops with a yard at the back giving access to seven cottages; the shops and three cottages were knocked down but the other four cottages are still there today in Old Bank Place. The site of the shops was left vacant until the 1930s, when new premises, 26 and 28 High Street, were built. 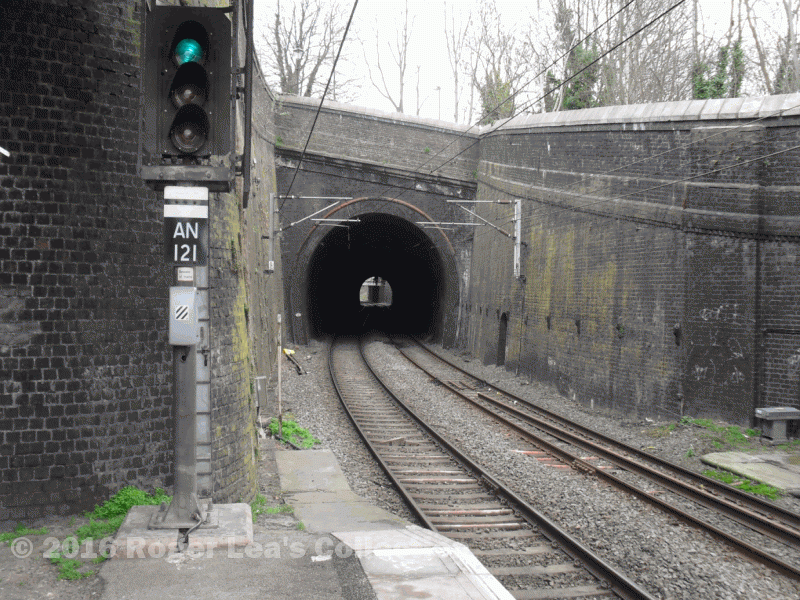 The LNWR engineers decided to make the tunnel in two parts, a conventional tunnel from the station to High Street, and then “cut and cover”. The cut and cover method involved making a very deep cutting down to the level of the track. When the track had been laid the cutting was roofed over and filled back up to ground level. The tunnel should have linked up with the cut and cover section, but a mistake was made and the tunnel was found to be at too high a level. The tunnel had to be lowered by several feet - it is said that the roof of the original tunnel is still there, a few feet above the roof of the existing tunnel, a spooky void beneath Railway Road. 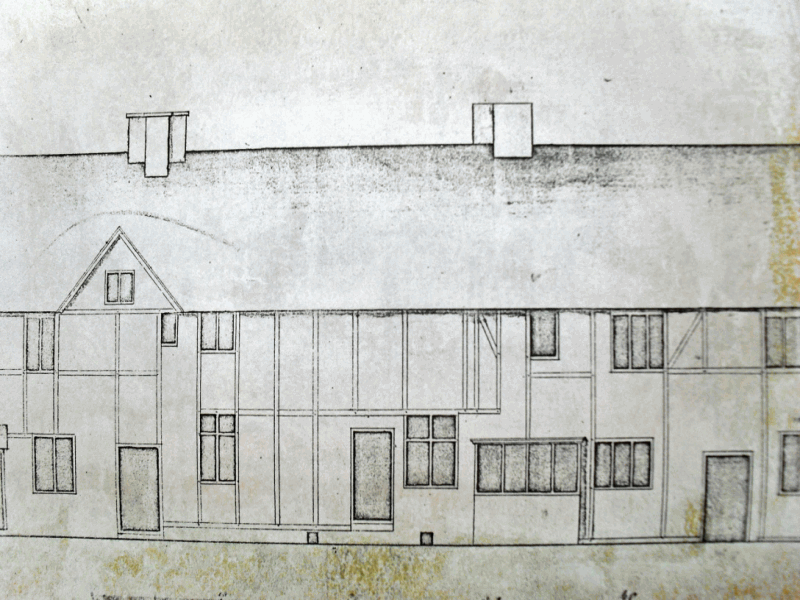 Drawing by John Snape of three cottages in High Street owned by Andrew Hackett (1763). 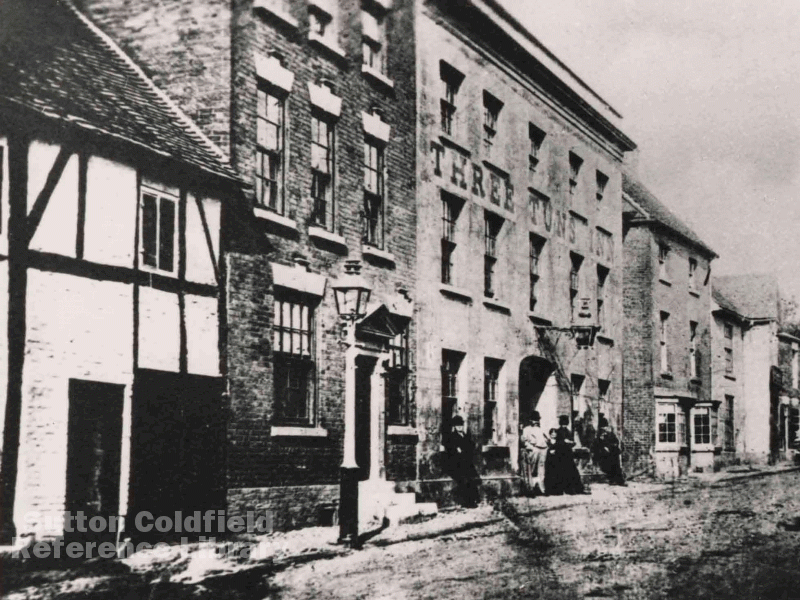 High Street in the 1860s - the end of the row of cottages demolished for Railway Road can be seen on the left (photo courtesy of Sutton Reference Library).